What supercar was on your bedroom wall? Mine was a bright yellow Lamborghini Murciélago and and it lay there for years, guarding my dreams and instilling me with a childhood goal that developed into an adulthood passion. 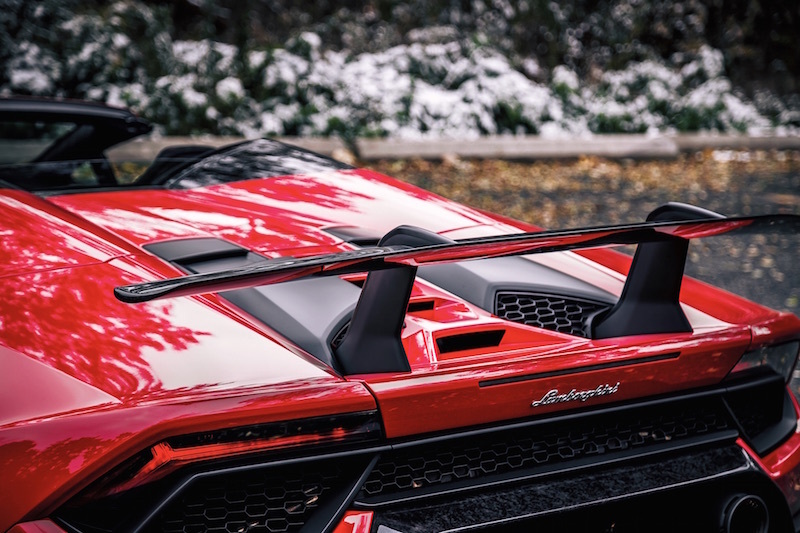 Poised with scissor doors and the deafening wail of the naturally aspirated V12, I knew I had to drive a Murciélago one day, or any Lamborghini for that matter. Turns out, dreams do come true. In front of me lies a 2018 Lamborghini Huracán Performante Spyder dressed up in a daring shade of Rosso Mars. It doesn’t have scissor doors, or a V12, and it’s not yellow, but it’s darn near close enough. One could even argue that the Huracán is the better driver’s car. 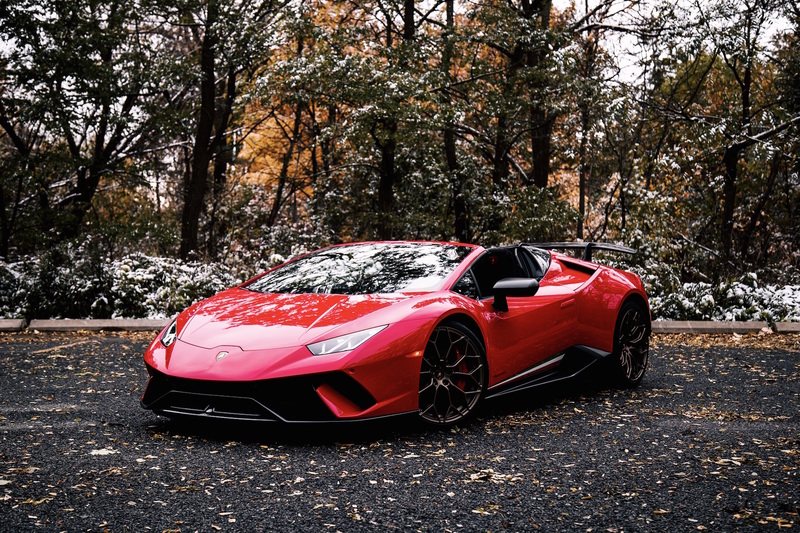 The Huracán is the successor to the Gallardo and is significantly smaller than the Aventador and Murciélago but all the more nimble because of it. Sporting a naturally aspirated V10 and all-wheel drive, it’s a force to be reckoned with. 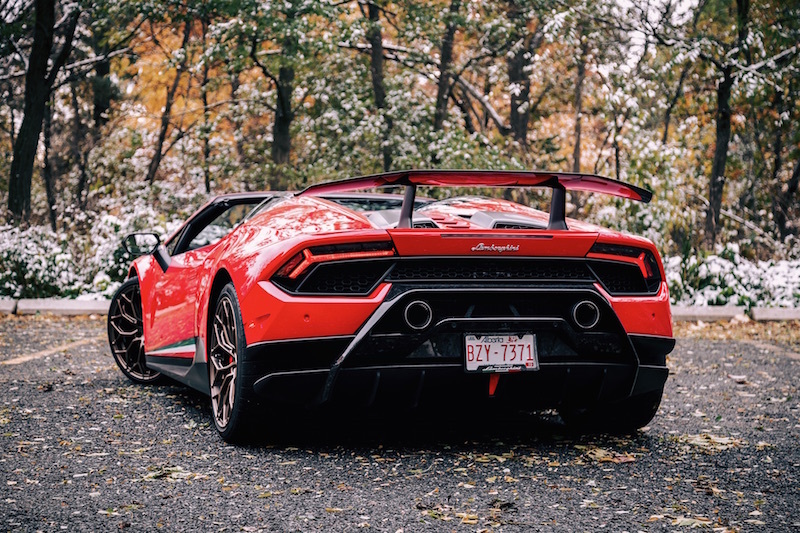 The specific model I’m driving is the Huracán Performante Spyder, the kingpin of the lineup. Over a standard Huracán, the Performante receives a new intake manifold, titanium valves, a repositioned and lighter exhaust, and software tuning to juice out an extra 30 hp and 40 lb-ft for a mouthwatering total of 640 hp and 443 lb-ft, enough to launch this raging bull from 0-100 km/h in 3.1 seconds. 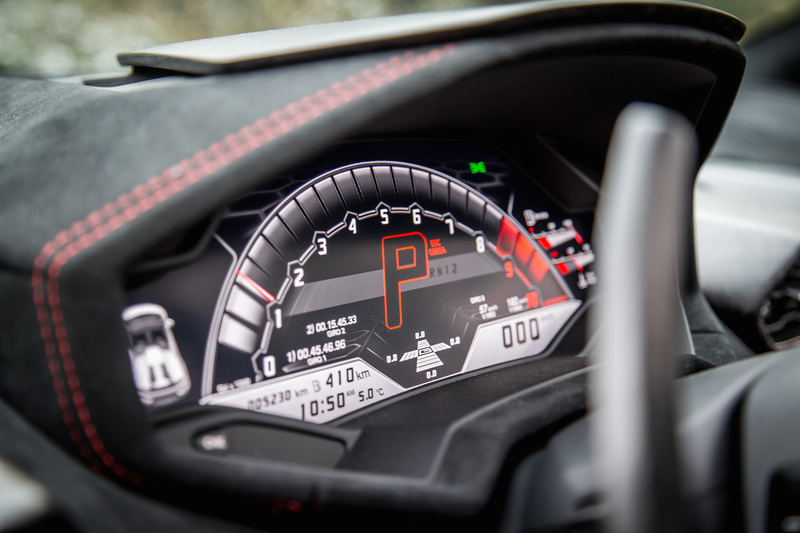 The Performante treatment continues with a stiffer suspension, forged composite carbon fibre littered everywhere for a 35 kg weight saving over the regular Huracán Spyder (it’s still 125 kg more than the Coupe), a re-tuned 7-speed dual clutch transmission (DCT), and the use of active aerodynamics that Lamborghini dubs ALA (Aerodinamica Lamborghini Attiva). 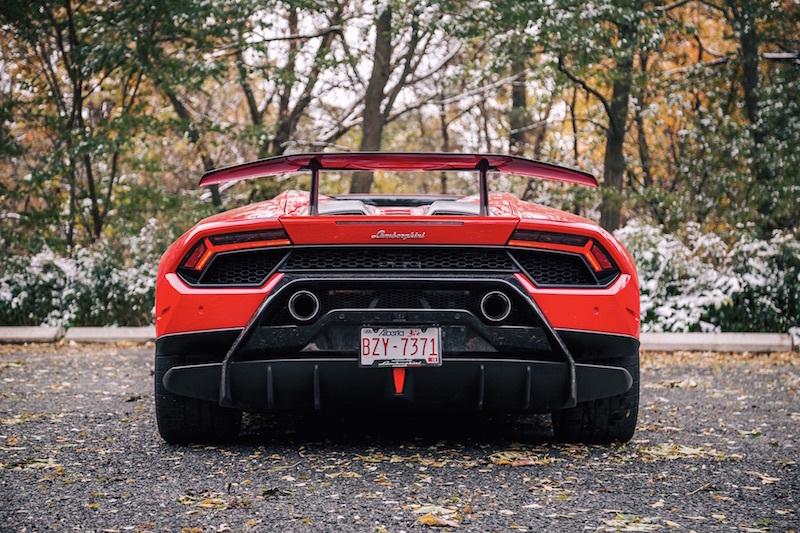 Along with the fixed front splitter and rear spoiler, there are active flaps around the body that will adjust downforce on the fly, and will open and close to reduce drag depending on the conditions. 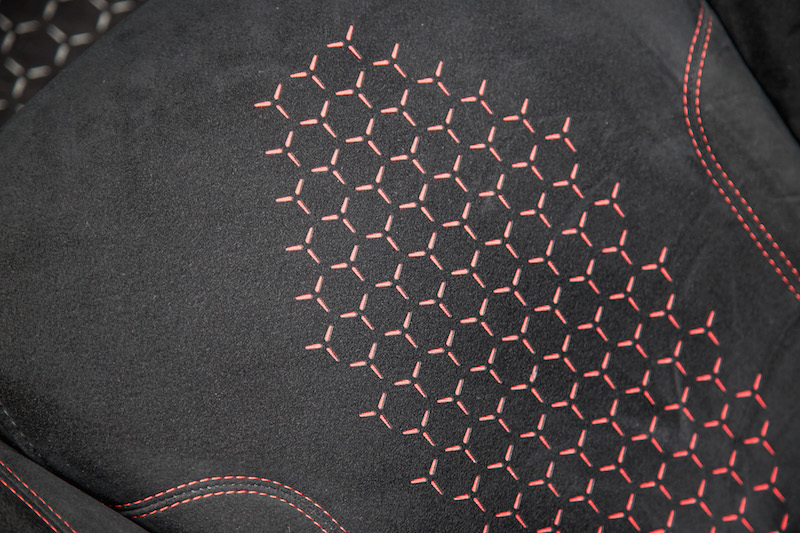 Distilled to its most simplistic explanation, ALA allows for more grip and downforce in corners, and faster acceleration in a straight line due to reduced aerodynamic resistance. 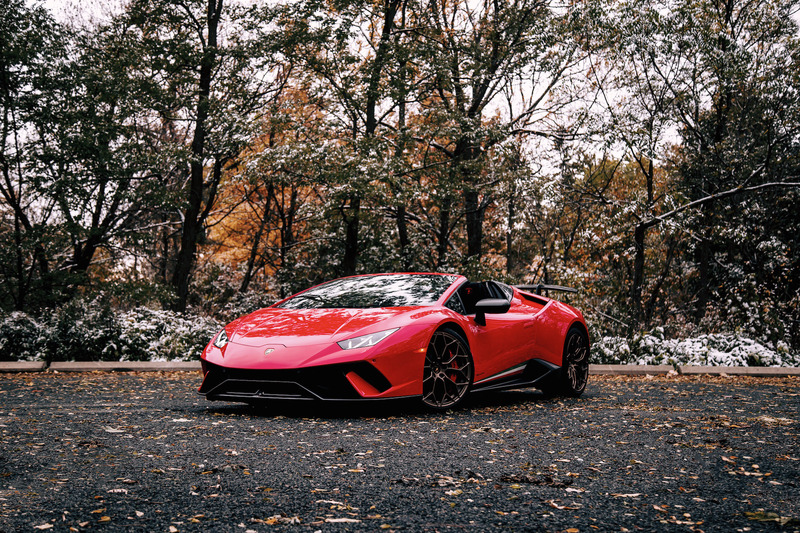 Combined with the brake-based torque vectoring system and stability control, this baby Lambo promises an insane amount of grip. But let’s talk about the engine because this naturally aspirated, free-revving V10 is a treasure trove of energy, and a rare treat in today’s automotive world. 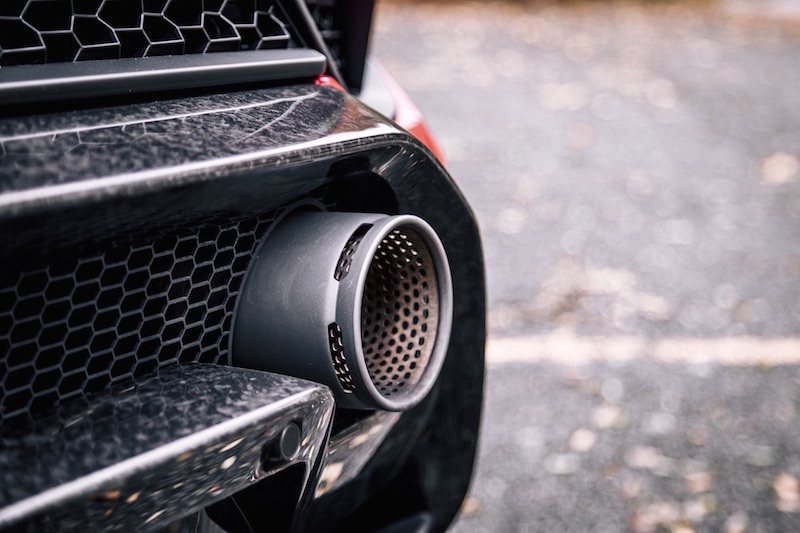 Without turbochargers, the Huracán seems weak on paper - 443 lb-ft may not seem like a lot when even a sub-$100,000 Mercedes-AMG C 63 S makes more - but in reality, it is a clear example of a world that can do without forced induction. 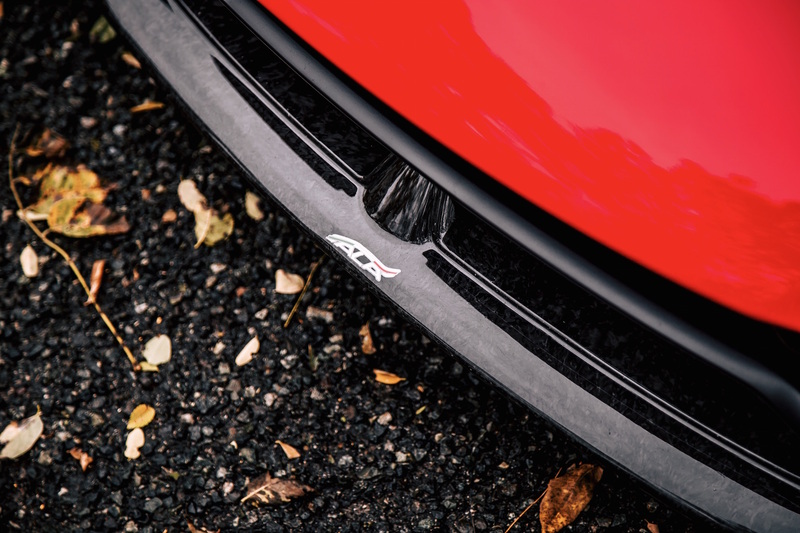 70% of its torque is available straight away from 1,000 rpm, and the subsequent build up to the 8,500 rpm redline is linear, visceral, and downright intoxicating. 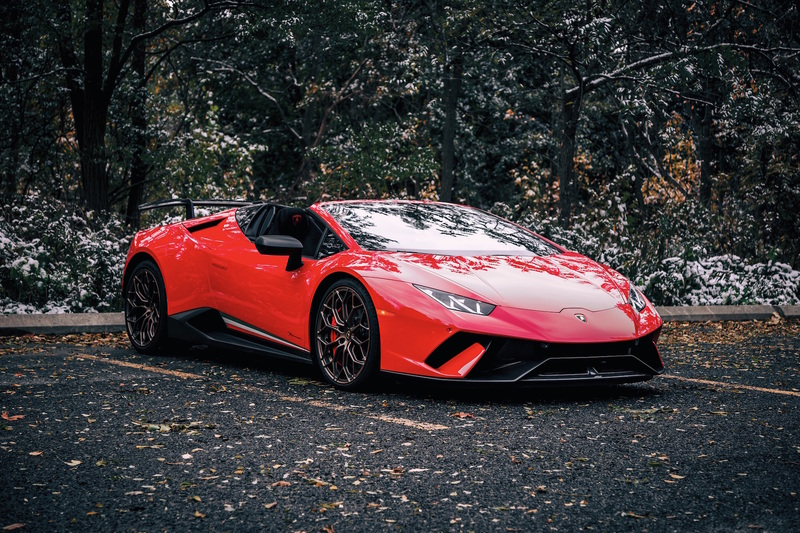 The exotic wail, the g-forces pushing you into your seatback, and the relentless speed that blurs your peripherals - the Huracán is a cornucopian feast that sends a tidal wave of dopamine straight to the reward centres of the brain. Even driving at low speeds is an event. When stopped, it’s an attraction. 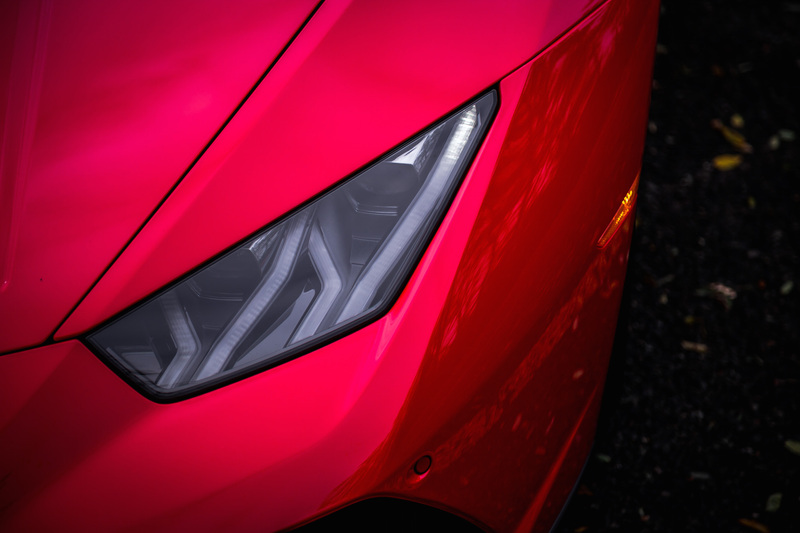 With 640 horses on tap, the Huracán requires patience, concentration, and above all else, respect of its capabilities. Ground clearance is not the greatest either, so you have to be alert and avoid those nasty potholes. 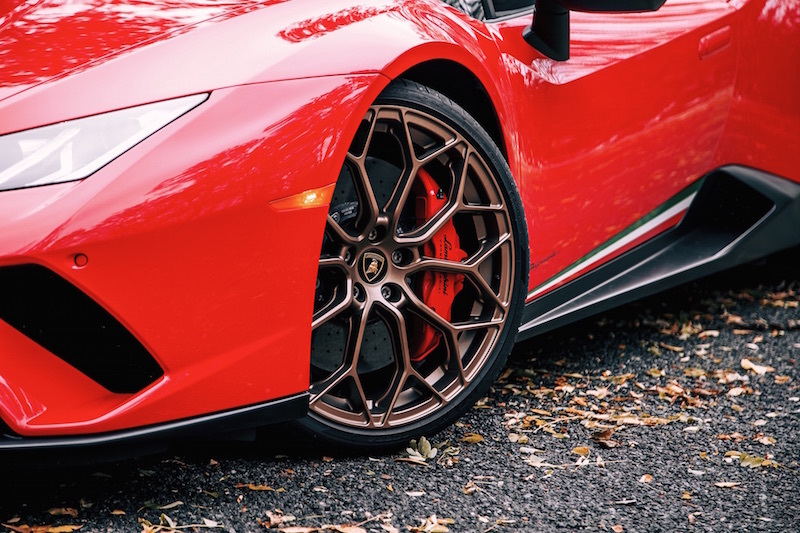 Luckily there is an optional front axle lift system that I highly recommend, allowing the Huracán to hover over speed bumps and ramps that might otherwise result in a costly repair. I will say that its limits are beyond what most drivers will be capable of on city streets. With the AWD guardian angel, the Huracán is friendlier than most other rear-driven supercars like the McLaren 570S, and offers an incalculable amount of grip. 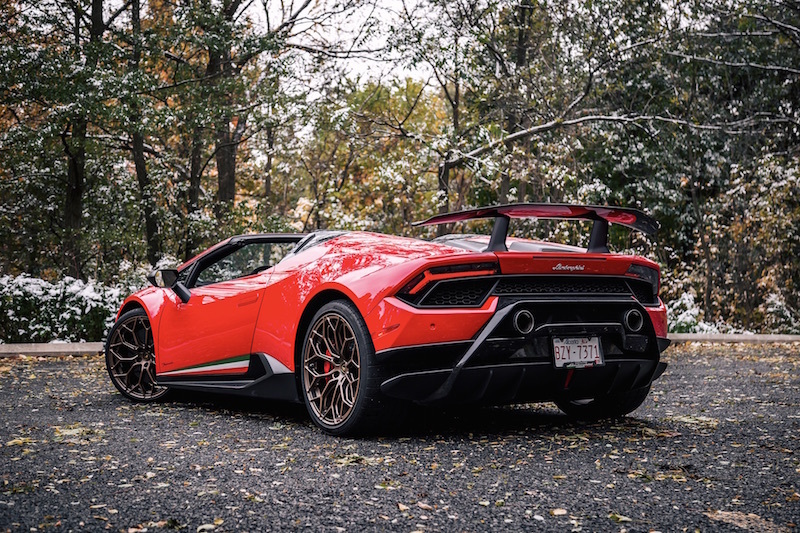 I hate to sound cliche and refer to a car’s driving experience as go-kart-like, but the Huracán Performante with its Pirelli P Zero Corsa tires and indomitable downforce from the active aero makes it drive like it’s on rails. The active electric power steering keeps the spirit of a small and cohesive unit. Along with the rigid chassis, these attributes allow the front and rear axle to feel connected as one. So when you fling the steering wheel right, the nose eagerly darts in that direction, and the rear follows suit in a flawless choreographic execution. 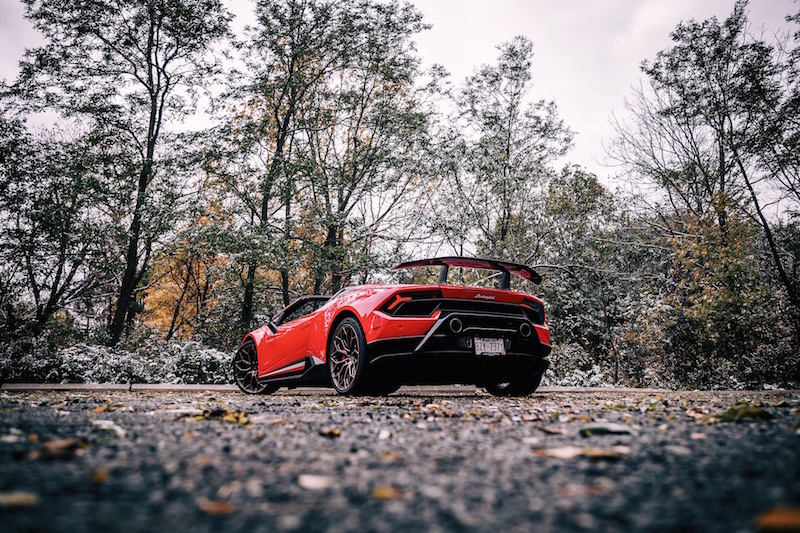 Your fingertips will feel the natural curvature of the road too, and while the McLaren 570S has lighter and more tactile hydraulic steering, the Huracán’s is right up there in terms of feedback. 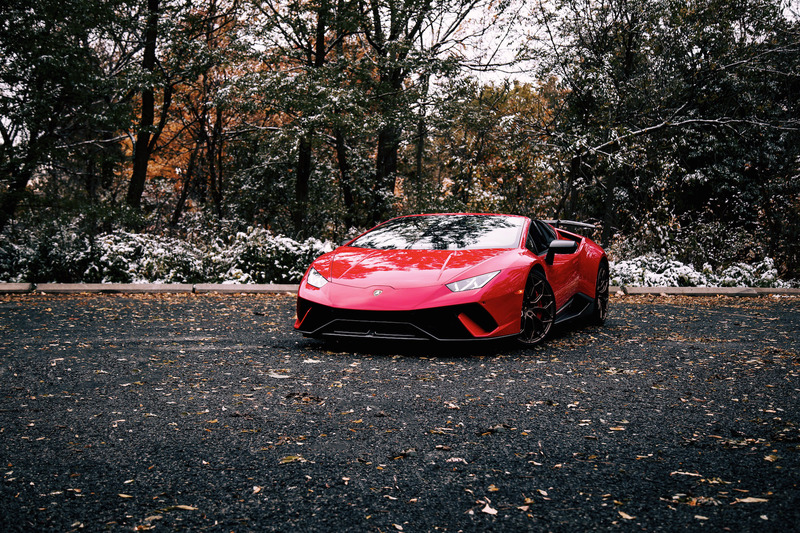 Aside from that sensational engine, the 7-speed DCT is perhaps the best part of the Huracán, adding another layer of depth to the driving experience and is a monumental improvement over the Gallardo. Long story short, it’s not the smoothest DCT around but it’s undoubtedly the quickest. 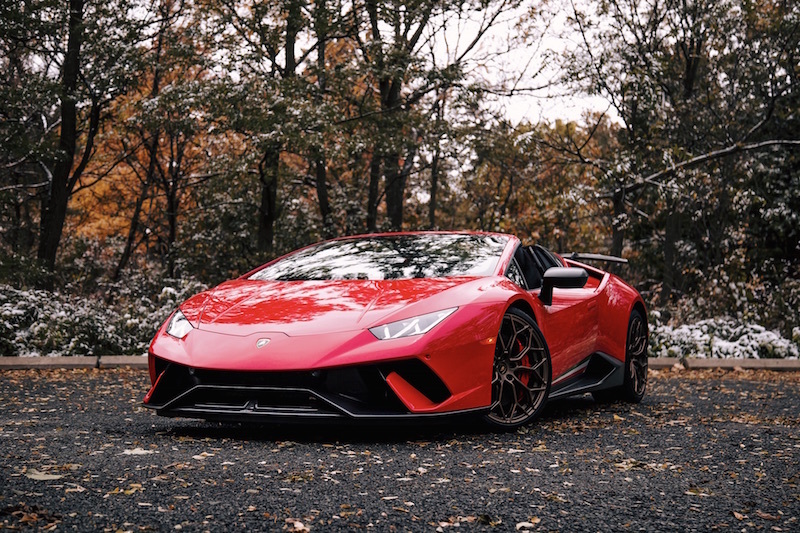 It swaps gears with such ferocity and speed that you can cycle through all seven gears with six consecutive pulls of those massive column-mounted paddle shifters in what feels like half a second. 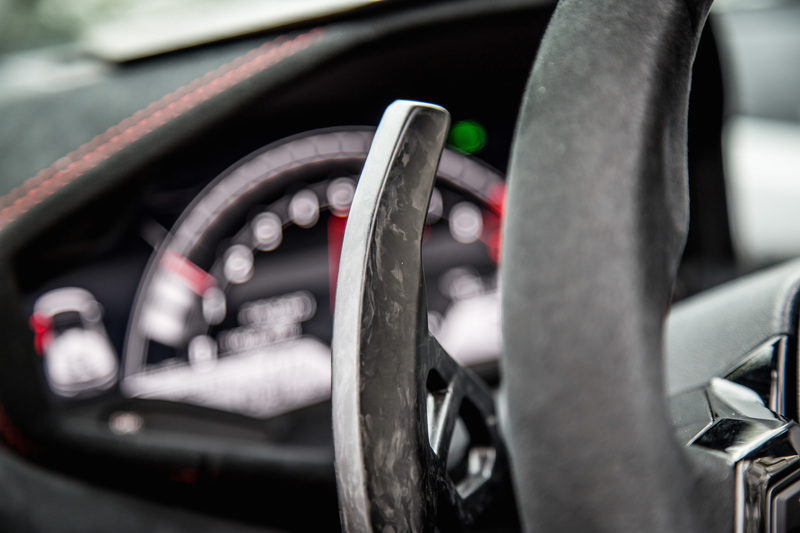 The DCT is so quick in fact that it’s already in the next gear before the paddle has been fully depressed, acting as the perfect wingman as you continue flirting with the euphoric 8,500 rpm redline. 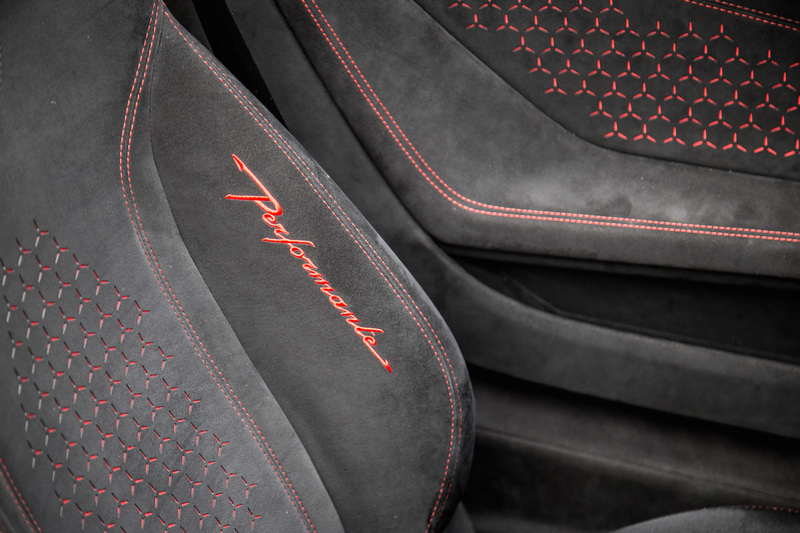 The drive is further amplified with the Huracán Spyder’s drop-top experience. 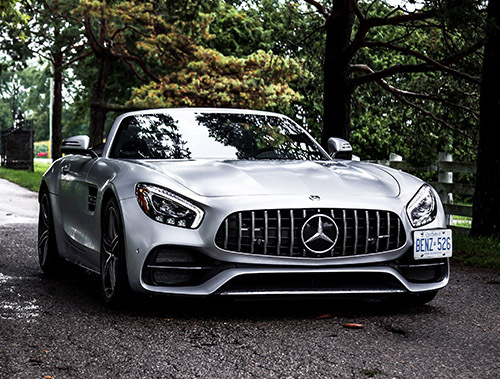 From behind the wheel, it can be easy to forget that this is a convertible. 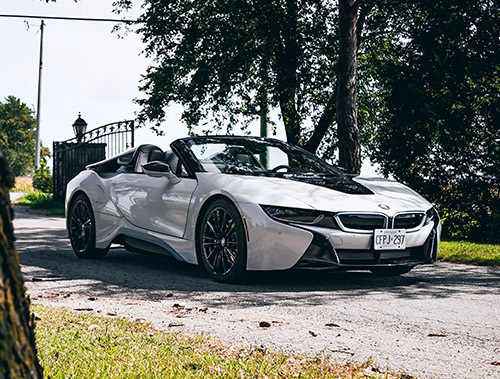 The chassis is void of any flex and though the wind insulation isn’t as great, nor is the diminished headroom from the addition of a folding roof, the penalties are few. One feature I do long for is the Coupe’s rear glass cover that allows you to peer into the engine bay and witness the majestic V10 at work. Now let’s be honest. The real reason you buy a convertible is not to feel the open air and wind blowing against your sun kissed face. Rather, it’s to publicly show off and hear that heavenly exhaust without metal obstructing your eardrums. 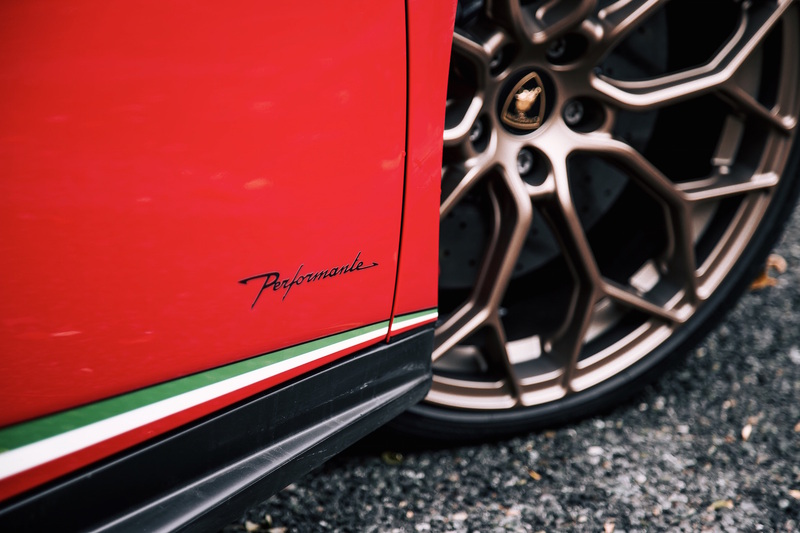 It’s a V10 concert like no other and thanks to the Performante’s new exhaust, is even louder than the standard Huracán and Audi R8 that use the same engine. 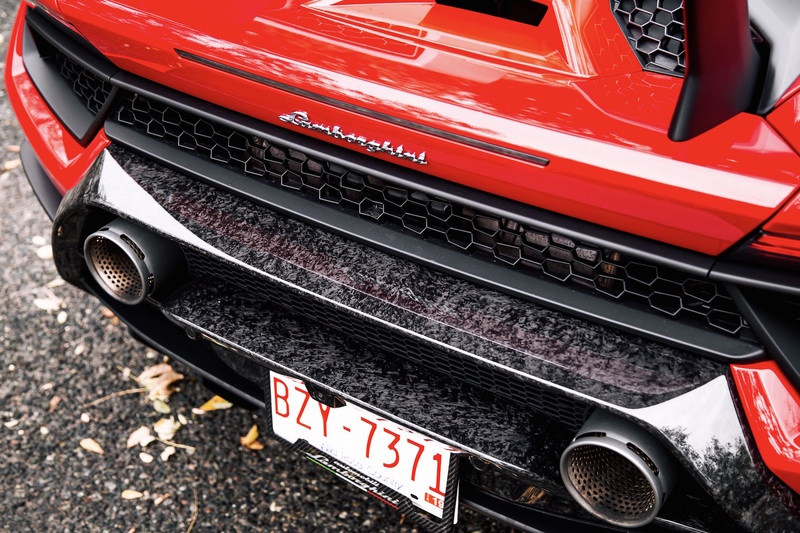 It bridges the sonic gap between the brawny burble of a V8 and the banshee wail of a high-pitched V12. Take the Performante through a tunnel and it will bring back nostalgic memories of a mid-90’s F1 car. 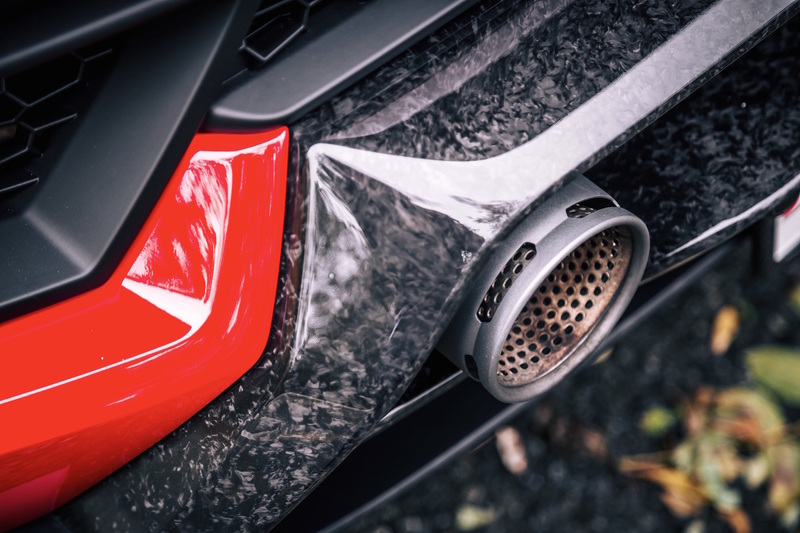 Have a listen to our Exhaust Notes video above to have a listen yourself. But it’s not always a constant yelling match. 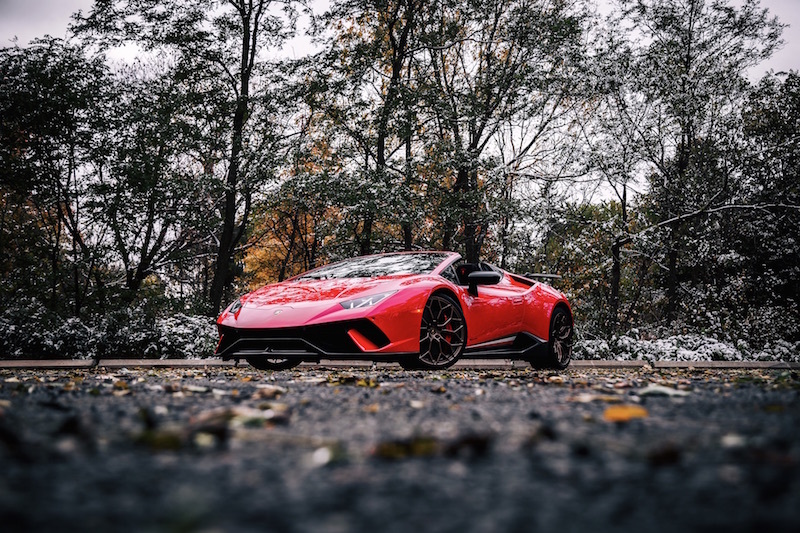 Flick the driving mode into Strada (street) and the Huracán gets tranquilized with a full dose of Ambien and quiets down. 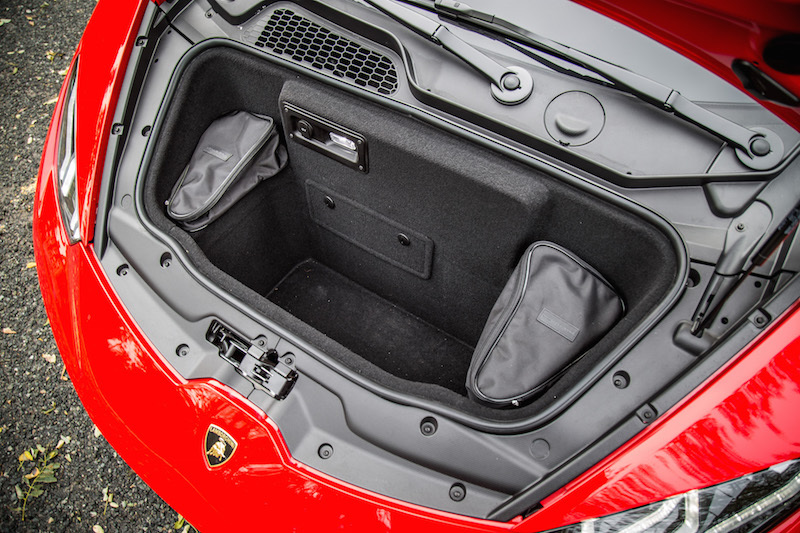 The exhaust closes up, the suspension gets softer, and it becomes a rather docile Italian bull, perfect for when you actually want to hear what your passenger is saying. Spouse ranting too much? Best to choose Corsa (Race) mode then to raise the exhaust to Defcon 1. 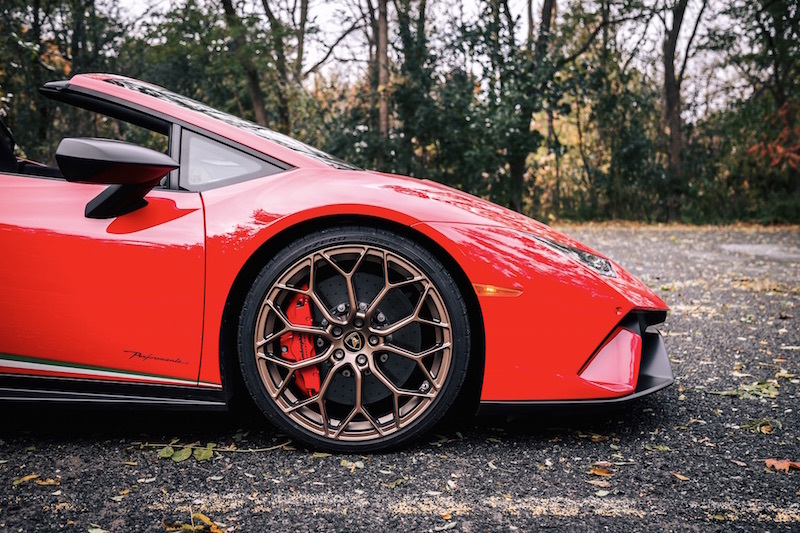 This Lamborghini provides more than just driving nirvana, though. The interior atmosphere is its own three-course meal. 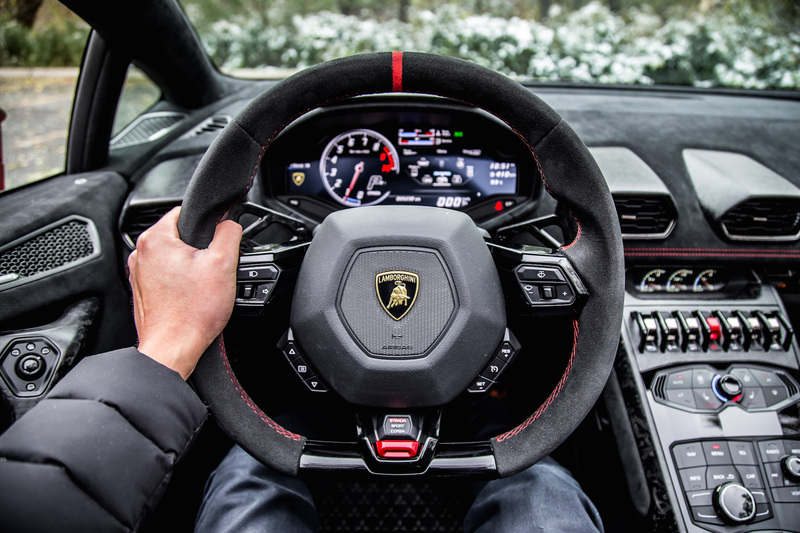 Doused with a dizzying array of aviation-style switchgear and hexagonal shapes, sitting in the Huracán makes you feel like an F-35 fighter pilot. 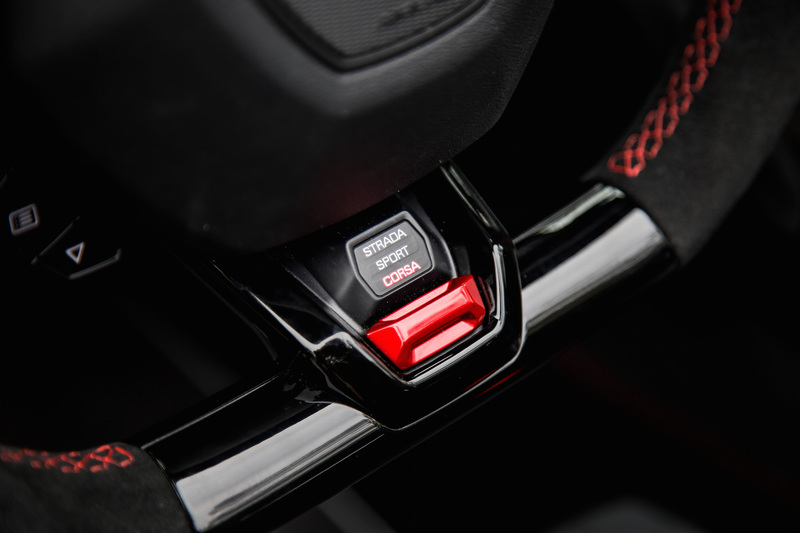 Even the ignition button is pure theatre, with a red panel covering it to mimic a nuclear launch button, and if you’re spending nearly half a million dollars on a supercar, that’s exactly what I’d expect. 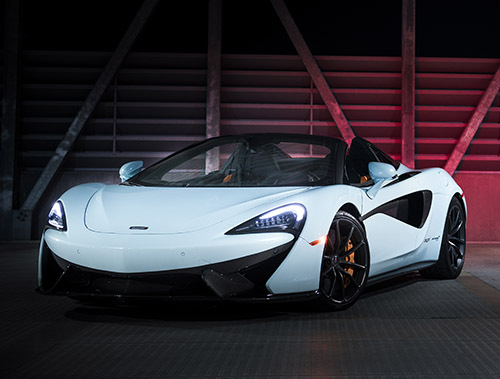 The forged composite carbon fibre steals the show though, and is found everywhere from the rear spoiler to the center console and paddle shifters. The marbled pattern and lustre is beautiful, and certainly wouldn’t look out of place inside a luxury home either. Standing six-feet tall, I will admit that I don’t fit very well in the Spyder. The footwell is smaller than the Coupe and there is less seat recline as well. Sitting up, the top of the windshield bar is right at my eye level, so I have to actively duck my head above or below it to see the traffic lights ahead. Forget even trying to put a helmet on. 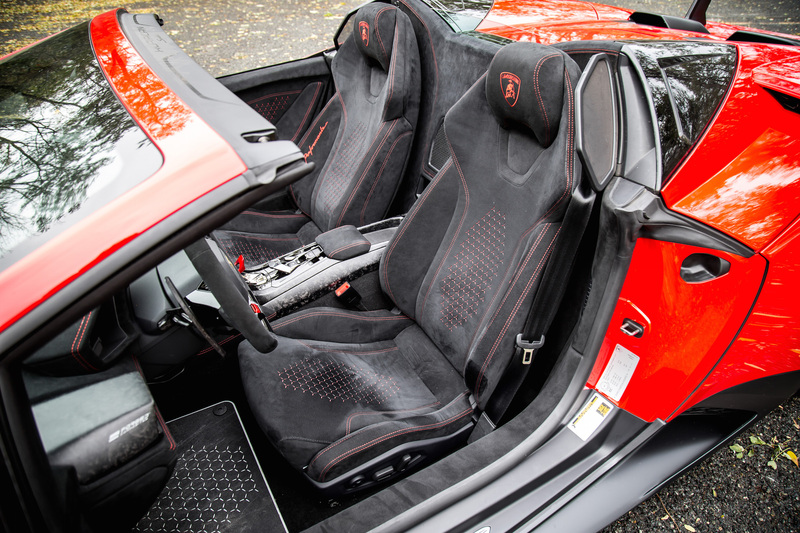 Furthermore and in true supercar fashion, the blind spots are terrible (no blind spot monitoring here), the seats lack any sort of lumbar support meaning you will have a sore back within an hour in traffic, and with the roof up, I have to squat my head or I will literally nudge and make a bump in the headliner. 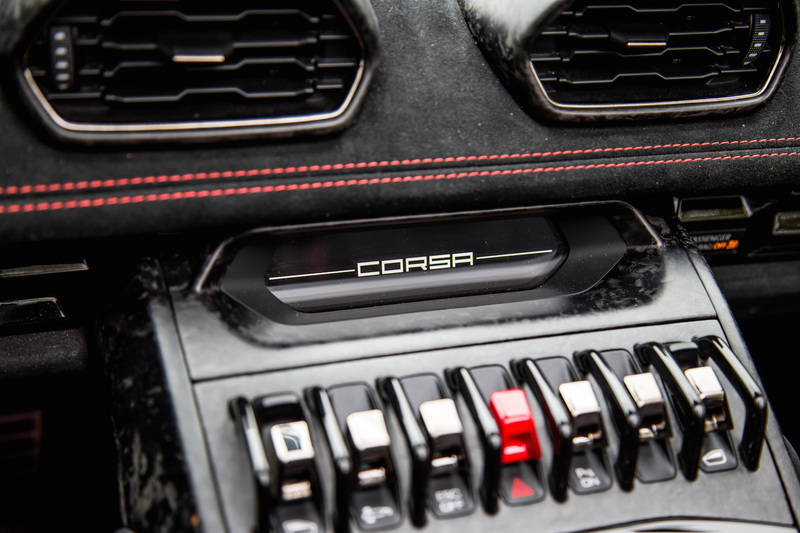 The infotainment system is controlled via the rotary dial situated on the center console, and is intuitive enough for most drivers to find what they want. 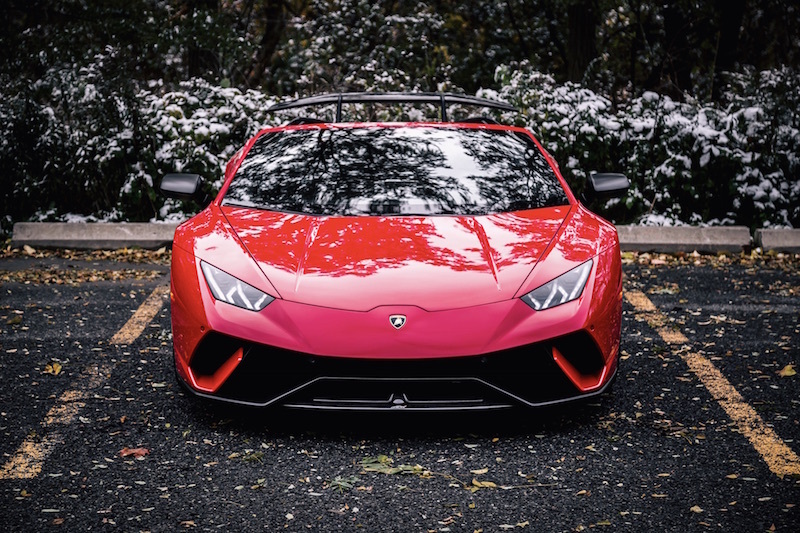 Though there’s clearly a lot of last-gen Audi influence in the cabin design, there’s enough Lamborghini charm in here to mask its more humble origins. Everything from the jet-like switches to the sharply angled steering wheel make the Audi R8 look like a sterile hospital room, and distinctively keeps the Huracán in its own unique gene pool. 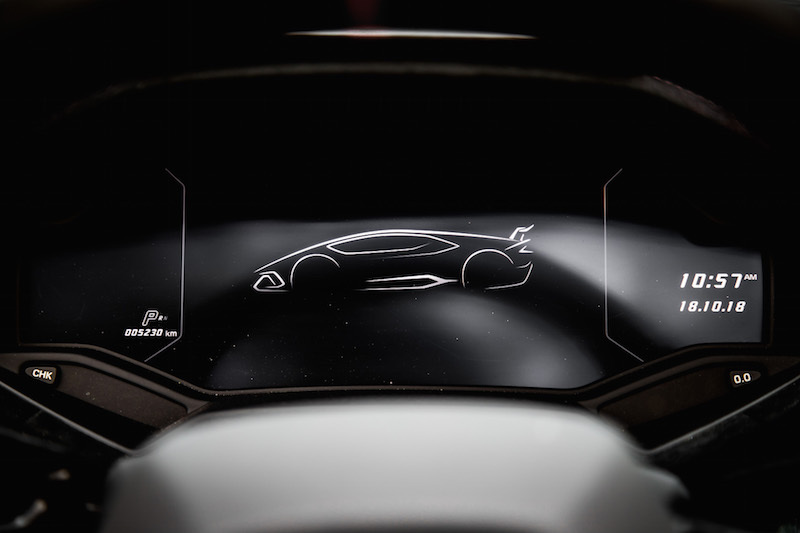 And that’s what Lamborghinis should and have always been about - a nuclear assault on the senses. It takes you into your own state of zen, a bubble of auditory and physical enchantment. It paves the way forward with horsepower and lap times but remains more emotional and dramatic than its rivals. The Huracán Performante Spyder has torturously uncomfortable seats, is damn near impossible to see out of, drinks fuel like a thirsty rhino, and the frunk will barely swallow a duffle bag, but it does what Lamborghini does best by stirring the soul in ways you cannot quantify. It is a rolling work of art designed for the street, the track, and the bedroom wall.